A Guide to the Specialist Medical Colleges. List and Links Included. If you are a doctor from another country entering Australia. Unless that country is a country like the United Kingdom or United States, you are probably a little confused by what the specialist medical colleges are and do. Even trainee doctors in Australia get confused about the medical colleges. Don't worry we have you covered in this guide. We even give you the list and links to all of the Colleges with a bit of an explanation of what sorts of fields of medicine they cover. What are the specialist medical colleges? Royal Australasian College of Surgeons (Australia). Colleges apply an apprenticeship model of training, i.e. you work under supervision of an expert in the specialty. Whereas, universities apply other models of learning. This difference relates back to the time when colleges emerged from a number of other trade guilds. Once you have completed college training you are generally invited to become a member of the college where your ongoing professional development is served and where you are expected to teach and supervise new trainees. Whereas, once you complete a university degree you may be asked to join the alumni but there is no expectation to take an active role in the university nor teach other new students. The specialty medical colleges generally cover 2 components of the medical training continuum. The first being postgraduate medical education – the training required to become recognized as a specialist. The second being ongoing or continuing professional development (CPD), which has historically been known as continuing medical education (CME). This is where the colleges act to support and monitor the standards and currency of current specialists. Read on further for more details about these colleges and what they do. Now that you know what a specialty medical college is. Let's talk more about some of the confusing points of colleges. What types of colleges there are in Australia and importantly how to work out which college is the right college for you. Alternative Approaches to Medical Specialty Colleges. In other countries and health systems medical specialist training is delivered through universities and other educational institutions and continuing professional development is monitored by regulatory authorities, medical boards and licensing authorities. When doctors from these countries they can sometimes be confused about what a college is or does. To add further to the confusion in some countries there is overlap between the role of the specialty medical colleges the universities and other medical authorities. Canada and the United States is a good example of this. In these countries much of the postgraduate training is delivered via university programs but overseen by specialty medical colleges. In the United Kingdom the role of the colleges as training providers has also shifted in the last decade or so, with the college role in providing training and determining specialist qualification being reduced. The Status of the Specialty Medical Colleges in Australia. In Australia the specialty medical colleges remain very powerful. With the possible exception of general practice (which is a specialty by the way) the specialist medical colleges generally have the oversight of and organize much of the specialty training that occurs in this country as well as continue to monitor the continuing professional development of their members (called Fellows). What are the Medical Specialty Colleges in Australia? Something that should be pointed out at this point is that most (but not all) of the specialty medical colleges in Australia are also the same college for the country of New Zealand. This has the handy advantage for Fellows of these particular colleges being able to be recognized and work in either jurisdiction. You will notice most colleges either refer to themselves and the “Australian and New Zealand College of”… or “Australasian College of”, for this reason. See below for a full list of the current Medical Specialty Colleges in Australia along with links to their websites. From each College home page there is usually an easily found link in the menu bar for prospective trainees, as well as international specialists looking for information about the specialist assessment process. We also have the direct links to the specialist assessment page here. Our data sources for the table below come from the Colleges themselves as well as the latest available 2017 health workforce data, from the Federal Government. You can find the homepage for this data collection here. *Actual total slightly higher due to other programs offered, some of which are jointly run with other colleges. The RACP is one of the biggest Colleges. It also the most complex in terms of training programs. There are about 37 training programs. Fellowship of the RACP covers a range of aspects of specialty medical training, with a focus on Adult Medicine and Paediatrics. If you are struggling to work out where your field of medicine fits, chances are it fits within the Physicians College. In the two main groups of Adult Medicine and Paediatrics and Child Health there are many subspecialties including General Medicine and General Paediatrics as well as things like Cardiology, Infectious Diseases, Geriatrics and Neonatal Care. The RACP also covers 3 Chapter Training Programs in Addiction Medicine, Palliative Medicine as well as Sexual Health Medicine which you can enter after doing your Basic Training with the RACP or via training with another college. Finally the RACP also provides 3 Faculty Training Programs in Public Health Medicine, Occupational and Environmental Medicine and Rehabilitation Medicine. Again, you can either enter into these after Basic Physician Training or by completing other prerequisites. Fun Fact: The RACP even covers Dermatology for New Zealand! Fellowship of the Royal Australasian College of Surgeons is one of the most highly sought after fellowships. Entry into any one of the 9 specialty training programs is highly competitive. The RACGP is by far and away the largest College in Australia. It is also one of the few colleges which does not have recognition in New Zealand. Training to be a GP is conducted via a few different pathways. The largest one is the Australian General Practice Training Program, which is separate to the RACGP. So the RACGP is a little different to other colleges in that, whilst it still sets training program requirements and conducts examinations, selection into training programs and training itself is done externally to the college. The RACGP also provides an extension to its Fellowship where with a small amount of additional training you can be recognised as a rural GP (FARGP). The RANZCP is one of the last true generalist specialist colleges in Australia. Its training program runs for 5 years and includes mandatory training in Adult Psychiatry, Consultation-Liaison Psychiatry (General Hospital Psychiatry), Child and Adolescent Psychiatry as well as a range of other types of experiences and assessments. Towards the end of training, trainees can elect to undertake Advanced Training in a certain area of Psychiatry, including Child and Adolescent, Consultation-Liaision, Adult Psychiatry, Old Age Psychiatry, Neuropsychiatry, Forensic Psychiatry and Psychotherapy, however all trainees emerge from the program considered competent to work in all fields of the specialty. It is expected that the position on generalism in Psychiatry will change in the not too distant future. ANZCA ANZCA is responsible for the training, examination and specialist accreditation of anaesthetists and pain medicine specialists in Australia and New Zealand. In any given year there are about 1500 trainees undergoing training accredited by ANZCA in Australia and New Zealand. The College also has a number of trainees in Singapore, Malaysia and Hong Kong. At 35 years ACEM is one of the newer colleges in Australia. It is also one of the first colleges in the world that represented the specialty of emergency medicine that emerged (pardon the pun) in the 1970s from hospital casualty department medicine. The Association of Casualty Supervisors of Victorian Hospitals (ACSVH) was the first body in Australia to focus on Emergency Medicine. Its formation followed a 1973 report on the Royal Melbourne Hospital’s Casualty Department and observations of similar facilities in Western Australia, the USA and the United Kingdom. The Australian College of Rural and Remote Medicine is one of two colleges accredited by the Australian Medical Council (AMC) for setting professional medical standards for training, assessment, certification and continuing professional development in the specialty of general practice. It is the only College in Australia dedicated to rural and remote medicine, and is active in supporting junior doctors and medical students considering a career in rural medicine. ACRRM's training approach is quite different from most other colleges and based partly around modularised learning. ACRRM Fellows receive full vocational recognition for Medicare General Practice Items and are not just restricted to working rurally, they can practise unsupervised anywhere in Australia. As a relatively new and small college ACRRM tends to be particularly welcoming to International Medical Graduates. RANZCOG is the College that deals with the specialty of womens' and maternal health. Gynaecological oncology, Maternal–fetal medicine, Reproductive endocrinology and infertility Ultrasound, and Urogynaecology. Royal College of Pathologists Australia. Number of Fellows: 1275 + 603 jointly with RACP. The RCPA represents Pathologists and Senior Scientists (working in medicine) in Australasia. Its mission is to train and support pathologists and to improve the use of pathology testing to achieve better healthcare. It is novel as a college in that it trains non-medical professionals as well. There is some degree of overlap in training and representation with the RACP. Particularly in relation to the areas of haematology and microbiology. Post fellowship diplomas are also available in anatomical pathology, chemical pathology, clinical pathology, forensic pathology, general pathology, immunopathology and genetic pathology. A Faculty of Clinical Forensic Medicine also exists within RCPA. Number of Fellows: 1945 (Clinical) + 345 (Radiation Oncology). RANZCR encompasses two Faculties, the Faculty of Clinical Radiology and the Faculty of Radiation Oncology. Many Radiologists carry out radiological investigative techniques and with the pace of medical technology some are now also delivering treatments. The College of Intensive Care Medicine is the body responsible for intensive care medicine specialist training and education in Australia and New Zealand. The College offers a minimum six year training program, in both general and paediatric intensive care, with a number of assessments, culminating in Fellowship of the College of Intensive Care Medicine (FCICM). The College has over 1000 Fellows throughout the world. The College of Intensive Care Medicine was established in 2008 and formally took over the responsibility for training and certification of intensive care specialists from the Joint Faculty of Intensive Care Medicine (RACP & ANZCA) on 1st January 2010. The ACD is the peak medical college accredited by the Australian Medical Council for the training and professional development of medical practitioners in the specialty of dermatology. The Royal Australasian College of Medical Administrators (RACMA) is a specialist medical college that provides education, training, knowledge and advice in medical management. Recognised by the Australian and New Zealand Medical Councils, it delivers programs to medical managers and other medical practitioners who are training for or occupying Specialist Leadership or Administration positions. Whilst you generally do not require a Fellowship in Medical Administration to work in a leader role, RACMA is the only college based training program where you can become a Fellow in the Speciality of Medical Administration. RACMA also has significant options for recognition of prior learning. ACSEP is the professional body representing Sport and Exercise Physicians and Sport and Exercise Medicine in Australasia. Sport and Exercise Physicians are committed to excellence in the practice of medicine as it applies to all aspects of physical activity. Safe and effective sporting performance at all levels is a major focus. Alongside this is the increasing recognition of the importance of exercise in the prevention and treatment of common and often serious medical conditions, such as arthritis, heart disease, diabetes and many cancers. The goal of all Sport and Exercise Physicians should be to facilitate all members of the community to enjoy exercise safely to 100 years and beyond, knowing that physical activity provides them the 'best buy' to prevent chronic disease. The RACDS has been existence now for 50 years providing a broad range of activities to enhance the professional development of both general and specialist dentists through individually mediated studies, examinations and continued professional development. It is responsible for the RACDS OMS Training Program. Eligibility for this program includes the requirement to have both a medical and a dental degree and full registration in both specialties, as well as a year of general surgical experience. So becoming an OMFS surgeon is possibly the longest specialty training program in Australia! How To Work Out Which College Is For You If You Are A Specialist International Doctor? If you are from overseas it can sometimes be tough to work out how your particular specialty fits into the Australian system or in fact how your training may differ from what occurs in Australia. Here's an example, in the United States Child and Adolescent Psychiatrists train primarily within the field of child and adolescent psychiatry and probably learn more paediatric medicine than any other form of psychiatry. Whereas in Australia, you have to start out training in general psychiatry and only at the stage of Advanced Training do you undertake significant periods of study in Child and Adolescent Psychiatry. This can have significant issues for child psychiatrists as much of their training won't stack up against the program in Australia. There may be an obvious first starting point. For example if you field is within the surgical domain, you are likely (but not always) to be covered by the Royal Australasian College of Surgeons. Exceptions might include Ophthalmic Surgeons and Dental Surgeons. If you have worked generally for many years and are considered a specialist in your country. But you do not have a certificate or have not undergone a formal specialty training program or course. You are unlikely to be granted specialist status in Australia. 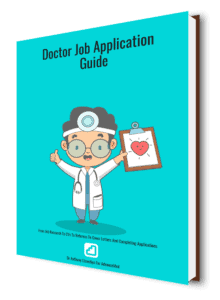 If you cannot work out where your particular specialty fits and its not surgically related it probably fits within the Royal Australasian College of Physicians and there many programs Or as an alternative it may be covered by General Practice. You can actually ask the colleges. They will answer some basic questions before charging you to look at your specialist application. A question likes “this is my subspecialty, do you cover it here?” will be answered free of charge. How To Work Out Which College Is For You If You Are An Australian Trainee Doctor? When considering specialty training its important to consider the “80:20” rule. Many doctors are attracted to certain specialties because of interests in rare conditions or niches within the specialty. You may well end up being the one right-ventricular surgeon in Australia. But you probably won't and you will have to go through a lot of steps to get there if you do. What sorts of patients will you be regularly seeing? What sort of hours will you work? Is research or teaching a regular component of the role or a rarity? The classic example is Endocrinology. Whilst there are many fascinating conditions in the field of endocrinology. If you are note interested in looking after at least some people with diabetes mellitus you should probably choose something else. Below are the rest. More information about these other colleges coming soon. In Europe in the 18th century, unqualified people performed certain restricted medical tasks that other qualified practitioners viewed as quackary. This included procedures, such as “cutting out stone” a (a surgical incision to remove urinary calculi from the bladder) or “couching” (dislodging cloudy cataract lenses using pressure or a surgical instrument and pushing it to the back of the eye) as well as bone setting. How many specialties are there in Australia? The answer to this question is a little more complex than one might think. We have already discovered that there are 15 colleges. Perhaps 16 if we include the Dental College, which we really should as they include the oral-maxillofacial surgeons. But we know that there are then a range of subspecialties and other programs housed within some of the colleges, in particular the RACP and RACS. The Australian Medical Council in its role of accrediting specialty training programs (see below) currently recognises 25 programs. This number captures all the colleges, as well as the additional programs that the RACP offer and two different programs for Intensive Care Medicine. The former the Joint Faculty for Intensive Care Medicine is now a defunct program and will be removed at some point in lieu of the more recently established College of Intensive Care Medicine. This is an example of how college evolve over time and new colleges arise. See below. At last count according to the Medical Board of Australia there were around 64 recognised subspecialties in Australia. But this doesn't even compare to the United States, where the Association of American Medical Colleges lists 131 specialties. How Many Specialists Are There? According to the Australian Government health workforce data collection there were 57,031 medical specialists or more accurately 57,031 Fellows of colleges in Australia in 2017. Is General Practice a Specialty? What was the First Specialty College? In the 1500s medical practice in England was poorly regulated. Many ‘physicians’ were working with no formal training or knowledge, and almost certainly killed as many patients as they cured. The leading physicians of the early 16th century wanted the power to grant licenses to those with actual qualifications and to punish unqualified practitioners and those engaging in malpractice. A small group of physicians led by the scholar Thomas Linacre petitioned King Henry VIII to establish a college of physicians on 23 September 1518. An Act of Parliament extended its powers from London to the whole of England in 1523. Originally called the College of Physicians or the King’s College of Physicians, it only gradually became known as the ‘Royal College of Physicians of London’ during the 17th century. It was only with the restoration of the monarchy, that the RCP started referring to itself consistently as ‘royal’. But from the very beginning its members found their patients from the highest levels of society. What was the Second College? The second College in England was the “Company of Barber-Surgeons”, which was established in 1540. It formed out of a trade guild and a London Livery Company that apprenticed and examined trainees within the City of London. As the name suggests, what we now refer to as the medical specialty of surgery arose out of those tradespeople who earned their living from performing haircuts and beard trims and shaves. This makes sense as these tradespeople worked with sharp objects that were good for cutting things other than hair. So its likely that some developed skills at other useful forms of cutting. Initially the barber members of the guild were the most senior members but in time the surgeons became more respected and sought to break away and establish their own identity. Who Checks on the Colleges? The Australian Medical Council is the body that checks the quality of the medical specialty colleges. Amongst other things they check both on the quality of the specialty training program as well as the continuing professional development program for existing college members. Yes the one that also accredits Medical Schools in Australia and New Zealand as well as prevocational training programs and assesses International Medical Graduates through the standard pathway. The AMC reports to the Medical Board of Australia, which has the final determination on college status. Why are some called the Royal and others not? Most of the earliest colleges in Australia were off-shoots of their respective college in England. The specialist medical colleges in England all were given Royal Assent and the privilege of using the word Royal in the title. This patronage was continued through with most of the original colleges in Australia. You can tell which colleges have recently been established by virtue of the fact that they do not carry the word Royal in their title. For example the Australasian College For Emergency Medicine and the Australian College of Rural and Remote Medicine are relatively new colleges in Australia. How do you start a college? From a review of the 15 (or 16) medical specialty colleges and 64 or so specialties and subspecialties one might consider that there is not really the need for another college. But consider this. Medicine is always evolving and specialising. We can't predict the future completely. But what we can probably predict is that over time certain doctors will probably organise as a new group around a set of health problems or ways of healing or working in health and eventually will want to establish their identity as a college. There are a couple of ways that this can work. One is to set up an entirely new college. Normally what happens is that a group of doctors who are already specialists in another college form a society first and over time build up membership, academic and professional development programs until the time that their is enough momentum for a new college. This is a difficult and arduous process. You can't just call yourself a college and have your members start charging patients for their new specialty services. There is a process you have to go through to get a college recognised which involves an application to the Australian Medical Council. Even after you have convinced the AMC the Medical Board can refuse to accept your status and even then the Commonwealth does not necessarily have to agree that College members can access the important Medicare billing system for their patients. PrevPrevious9 Reasons Why Doctors Should Use LinkedIn For Jobs & Careers.